While you know you need a portable charger, choosing the best power bank to buy might be a problem. Especially here in Nigeria where the market had been flooded with sub-standard and fake ones with exaggerated battery capacities. As a way of providing solution to this, I had done an extensive research on the 10 best ones to buy, their prices and where to buy them in Nigeria. These were selected from the high priced, medium priced and low-priced categories. These 10 top power banks are compatible with iPhone, Samsung Galaxy and other android phones like HTC, Tecno, Infinix etc. They can also charge MP3 and MP4 players and cameras among other USB enabled electronics. Some of them can even charge MacBook and iPad. Each of these matches our power bank buying guide. To make sure they are reliable and of high quality, I made my selections from already established brands with a proven track of quality products. This means no exaggerated capabilities like 30,000mAh or 50,000mAh that are just deceits. I then went ahead to get opinions of people that had used them to make sure they are what they seem. With the above in mind, I compiled this list of top power banks to buy in Nigeria with their prices and where to buy them. Ultimately one of the best and most reliable power bank chargers in the world. The Anker PowerCore 20100 is a product of Anker, an American leading USB charging brand. With an ultra-high battery capacity of 20,100 mAh and a warranty period of 18 months, this product is a force to reckon with. You can't go wrong buying this power bank especially for a travel purpose. It can charge an iPhone 6s seven (7) times, Galaxy S6 five (5) times and the iPad mini 4 twice (2). PowerCore 20100 is also compatible with the new 12-inch MacBook 2015. The power bank is solid and well-built with multi safety system to ensure the safety of you and your device when in use. PowerCore 20100 has the ability to charge two smartphones at the same time (thanks to the 2 USB ports). 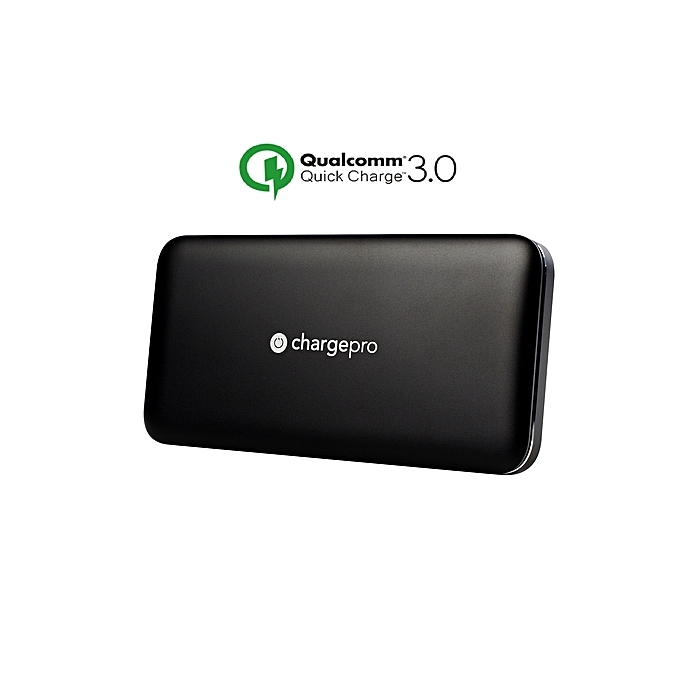 It also has fast charging functionality, thanks to its PowerIQ and VoltageBoost technology. This will enable it charge your phone faster. The flip side however is, it is not pocket friendly because of it weight. This shouldn't be a problem if you are not looking forward to putting it in the pocket. 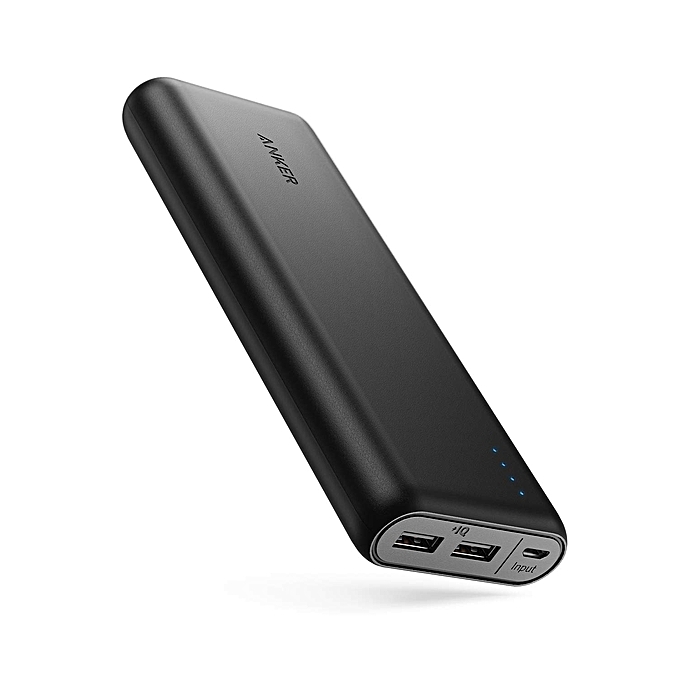 Anker PowerCore 13000 portable power bank is a downsized version of the PowerCore 20,100. And I tell you this, I would personally recommend this one for anyone over the PowerCore 20100. You ask why? Here are my reasons. The PowerCore 13000 portable charger possess all the features of the PowerCore 20100 except of course, it has a lower battery capacity. This is not a bad thing considering it battery capacity (13000 mAh) is also high. It has the ability to charge an iPhone 6s five (5) times, a Galaxy S6 three (3) times and an iPad Air 2 once (1). You would agree with me that it has the ability to keep you going for days just as the PowerCore 20100. Another thing that makes me like this over the first one is that it has less weight and above all, it is cheaper. 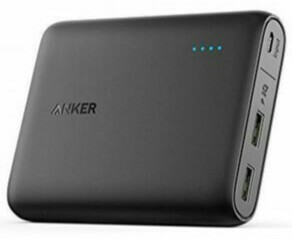 It is priced at ₦ 13,500 as opposed to the Anker PowerCore 20100 sold for ₦ 19,000. This is another choice when one is looking for a high capacity power bank but does not have the money to purchase the PowerCore 20100. New Age is a popular brand in Nigeria which had been around since the age before smartphone. Then, they are known for making of phone chargers and Universal battery chargers popularly known as desktop chargers. The New Age 22,500 mAh power bank comes a battery capacity of 22,500 mAh which just like the Anker PowerCore 20100 can be used for charging of tablets, smartphones (Android, iPhone, etc. ), MP3 etc. this power bank is ruggedly made with a shatterproof material given it the rugged feel you would like. Among other things, New Age 22,500 portable charger comes with 2 output ports making the charging of two phones simultaneously possible. This power bank just like the one above is protected from over-charge or over-voltage problems. It also comes with an LCD display screen for showing charge status. 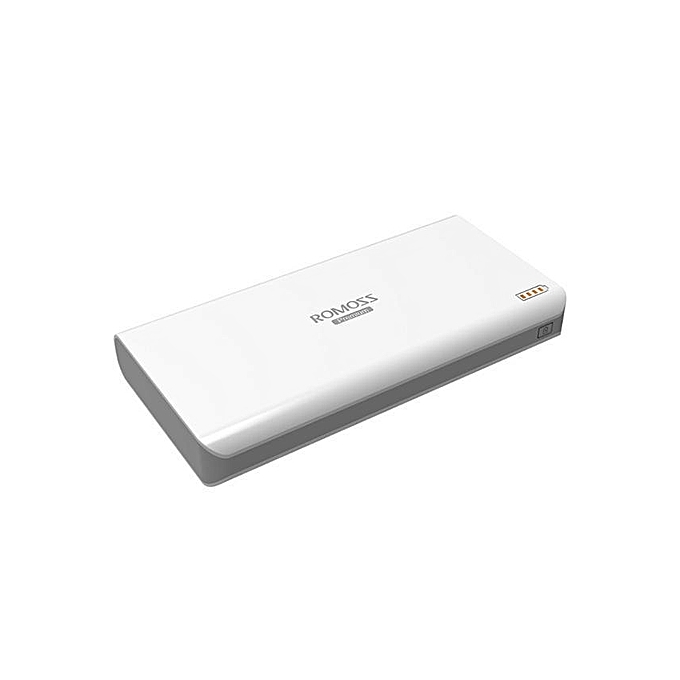 Romoss Sense 6 plus is one of the high end and best power bank manufactured by Romoss. It has a massive battery capacity of 20,000mAh which is enough to carry you going for day. It has a nicely designed white body and has an LCD battery indicator. this also has 2 USB ports to enable charging of 2 devices simultaneously. This one comes from a popular charging brand in Nigeria. The New Age 15600mAh power bank is made with a rugged and shatter-proof materials making it durable. It massive battery capacity of 15600mAh with it efficiency rate of up to 85% is a hanging fruit waiting to be plucked by anyone wanting to get a high battery capacity charger but don't have the budget to go for the Anker PowerCore. It has 2 USB ports and comes with a free USB led lamp. FIL is also a popular known brand known for its products in the mobile accessories market. 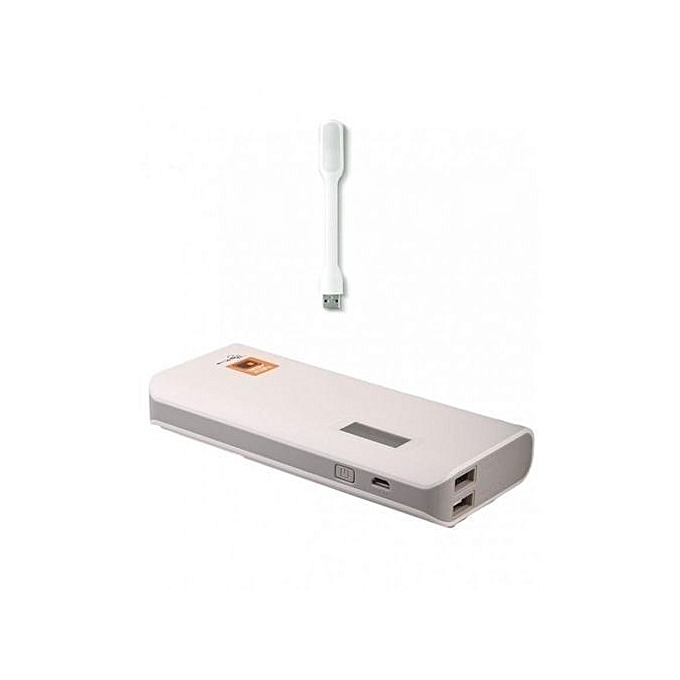 This brand is also into manufacturing of power bank and the FIL Lithium Polymer 15000 mAh Power Bank is one of the quality product from this company. It comes with 15000 mAh capacity and 2 output port giving you the chance to charge 2 smartphones simultaneously. This also comes with an LCD display and a led light. With over 200+ positive review on Jumia, the Oraimo 6000mAh is one of the portable charger to buy if you are on a low budget but want something that is tested and trusted by many. This product comes with 6000 mAh capacity giving an iphone7 2-3 full charge. It supports for protecting you and your device is great. It has support for short-circuit, overvoltage, overcharge and over discharge as well as over current protection and temperature resistance. It also comes with fast charging technology. One of its output port ensure the fastest possible 2.1A charge. The other is a 1A ouput. 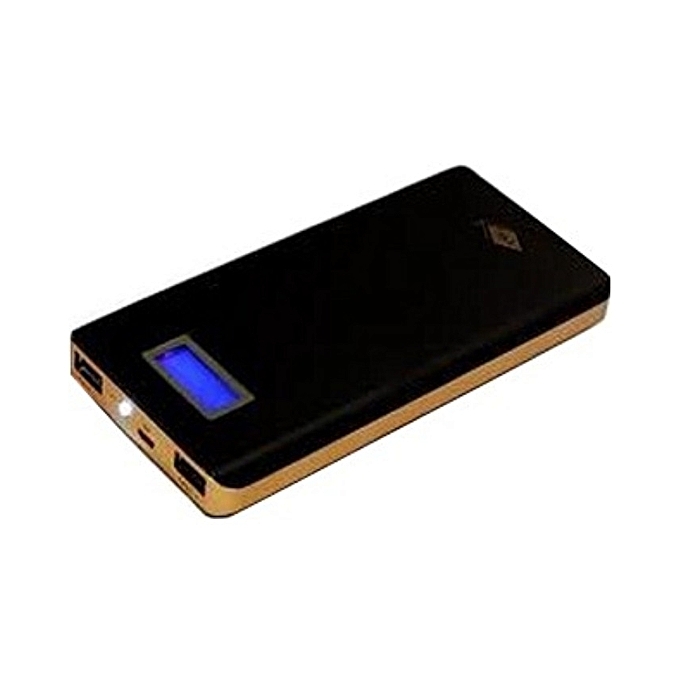 This power bank also has high review on Jumia and also the reviews are encouraging. Its claims to have a capacity of 10000 mAh. However, this seems not to be it rela capacity as it only charges a phone ones or twice depending on it capacity. Generally, aside the bugos capacity, the general property of this charger is dope. It comes with its Qualcomm 3.0 Quick Charge technology which aids it charge your device faster. This product is also very portable. 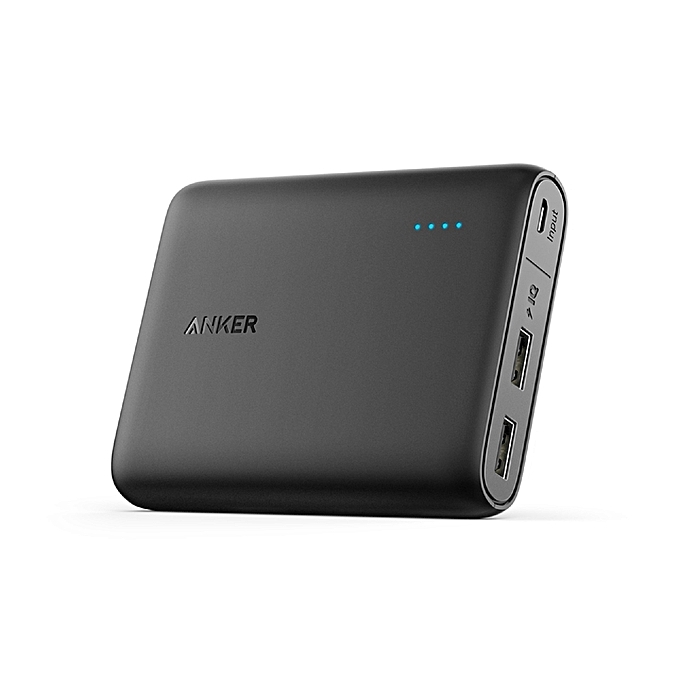 The PowerCore+ Mini is also a product of Anker. The Anker PowerCore+ Mini has a battery capacity of 3350 mAh making it to give you up to one full charge. Having this one is just like having an extra battery in your portable. It selling point comes from it extreme portability and the ease at which you can carry it about. It is also one of the cheapest Anker power banks out there. This is the cheapest power bank in Nigeria on our list of best portable battery pack to buy in Nigeria. this power bank come with a capacity of 4,400 mAh. This could give you up to a full charge. Just like the Anker PowerCore+ Mini, this is just like an extra battery. In conclusion, I have my personal picks based on your budget. If money is not an issue and you need something to last for long, then go for the Anker PowerCore 20100. If you need something lower in terms of capacity or price, go for either the Anker PowerCore 13000 or the New Age 22,500 mAh Power Bank. For those interested in a small capacity, portable power bank in Nigeria, go for the Anker PowerCore+ Mini or the Oraimo 6000mAh. Planning on buying an original power bank in Nigeria? It’s a good thing. With an original power bank, you have a dependable power source to charge your smartphone or tablet in the absence of good old NEPA! However, getting the best power bank in the Nigerian market is not an easy thing. The Nigerian electronic market had been flooded with fake power banks. Some comes with bogus capacities like 50,000 mAh or 30,000 mAh which are nothing but lies while others lie about their brands. We know all these, we have use some and have done our research on others. We want to save you from spending your money on power banks that aren’t worth them. That is why we compile this list of top 9 best power bank to buy in Nigeria together with their prices. 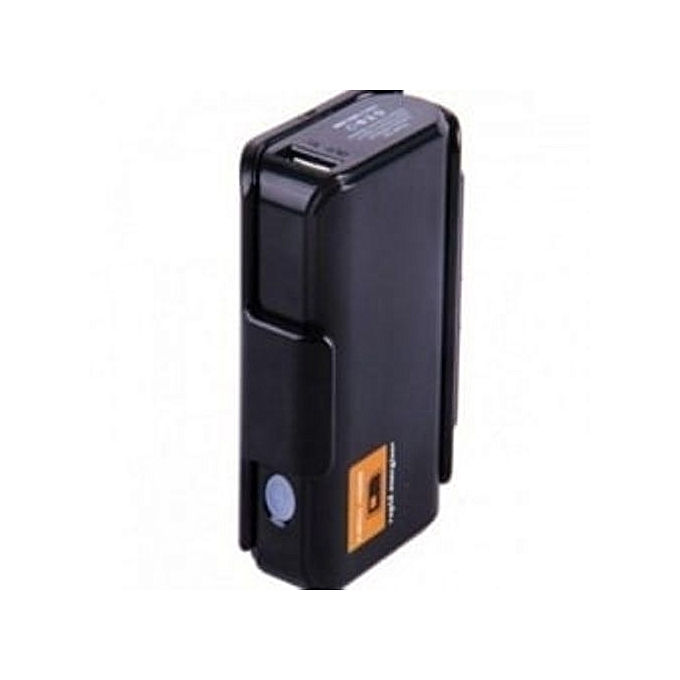 The list would be divided into big capacity, medium capacity and small capacity power banks. These classifications are not standard, it’s our way of making things clearer to our audience. The big capacity power banks are those with battery capacity between 20,000 mAh – 50,000 mAh. These power banks are usually heavy, takes up more space and have the highest charging time. The prices of these class of power banks are highest compared to the prices of others. They are usually less portable compared to the others. Power banks in this class are meant for those that go for days without seeing light. They usually deliver 5 – 10 full charges for smartphones if fully charged. 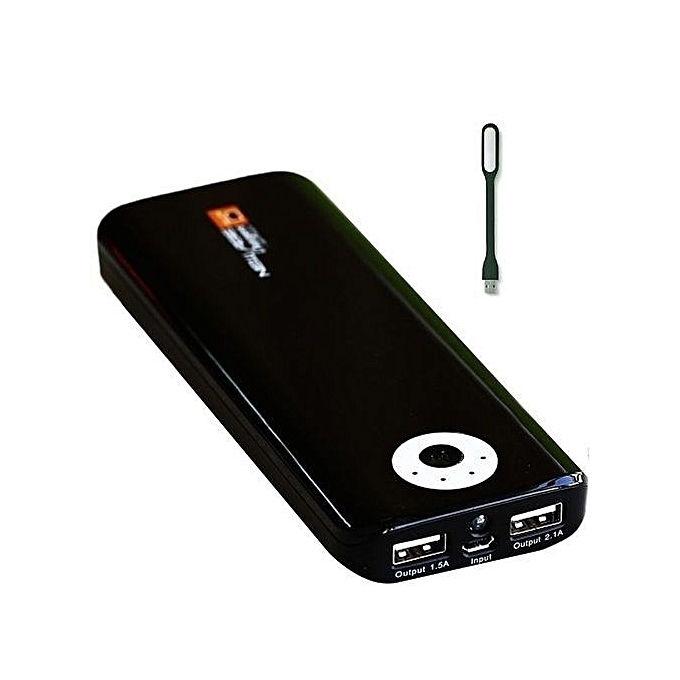 The best 3 power bank in this category are listed below. The Anker PowerCore 20100 ultra-high capacity portable charger is one of the best power bank in Nigeria. 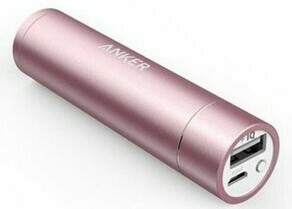 It is made by Anker, a United State top ranked power bank maker in the world. This product comes with an 18-month warranty and weigh half a kilogram. It comes with 2 output ports equipped with Anker-exclusive PowerIQ and Voltage Boost which provide simultaneous and high-speed charging for two devices. This ultra-high capacity power bank has a battery capacity 20,100 mAh and a charge conversion rate of about 85% which provides up to a week of power away from an outlet. Anker PowerCore 20100 charge an iPhone almost 7 times or Galaxy S6 five times. In terms of safety of use, as a product of a brand known for quality, this power bank has a patented MultiProtect safety system provides surge protection, short-circuit prevention, and more to ensure complete protection for you and your devices. The Romoss 20,000mAh Li Polymer Portable Power Bank also have comes with a battery capacity of 20,000 mAh which should give an average phone more than 6 times charge. Aside being compatible with mobile phones, this can also be used for tablets. It also came with two output ports for charging of two phones simultaneously. 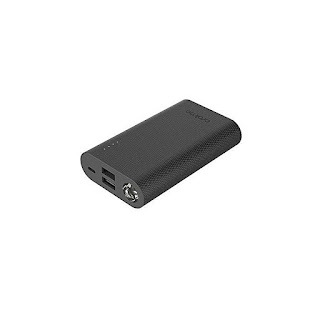 this category which is the Anker PowerCore 13000. The Anker PowerCore 13000 portable charger is a stripped-down version of the Anker PowerCore 20100 power bank. With it matte finishing, the Anker PowerCore enhances grip and prevents smudges and fingerprints. This one also comes with 2 output port. With a capacity of 13,000 mAh, this power bank has enough power to keep you going for days. It charges an iPhone 8 almost 5 times, an iPhone X or Samsung Galaxy S8 3 times or an iPad Air 2 once. It comes with surge protection; short circuit prevention and premium LG battery cells keep you and your devices safe. This sets of power banks are the cheapest, most portable and lowers in terms of battery capacity. They have battery capacity less than 10,000 mAh and the prices of power bank in this range is lower than N5,000. We have two (2) power bank in this category. They are discussed below. This is also a product of Anker. The Anker PowerCore+ Mini has a battery capacity of 3350 mAh making it to give you up to one full charge. Having this one is just like having an extra battery in your portable. It selling point comes from it extreme portability and the ease at which you can carry it about. It is also one of the cheapest Anker power banks out there. The New Age 4,400mAh Y20 PowerBank is the cheapest power bank in Nigeria on our list of best portable battery pack to buy in Nigeria. this power bank come with a capacity of 4,400 mAh. This could give you up to a full charge. Just like the Anker PowerCore+ Mini, this is just like an extra battery. Looking at the list, you would see that the list contains 6 power banks. 3 from large capacity category, 1 from the medium capacity category and 2 from the small capacity category. However, if we are to recommend just one power bank, based on a lot of criteria, we are going for the Anker PowerCore 13000. This to us is the best power bank in Nigeria right now. All the portable charger mention here can be bought on Jumia. Are you planning to buy a power bank in Nigeria? If you answer yes to this question then, this buyer’s guide is written for your sake. Needless to say, the Nigerian market have been flooded with inferior quality power banks. These fake portable chargers come with them huge battery capacity like 30,000 mAh, 50,000 mAh and anything like. However, their prices are too good to be true. Imagine this Power Bank sold on jumia for N3,500 claiming to have a capacity of 30,000 mAh and can be solar charged? Well guess what? I have used something like this, the solar panel won’t get the power bank charged and you are not getting anything near 10,000 mAh. Total waste of time and money. The fact that fake power banks even get their ways into popular e-commerce stores in Nigeria is even alarming. To help people make the right choice regarding the best power banks to buy in Nigeria, we have written this guide. Before you buy that portable charger ask yourself? Is the specification too good for the price? For in a bid to minimize cost, you might end up miximizing it. Below are the things you are to consider before buying any power bank or portable phone charger as some call it in Nigeria. In the article, power bank, portable charger and battery pack all mean the same thing. The battery capacity of portable chargers is measured in mAh (Milli Ampere Hours). Good enough, your phone battery capacity is also measured in mAh. This means you can tell if a particular power bank can charge your phone and how many times. All things being equal, the larger the mAh, the higher the number of times it can get your phone charged. However, that does not mean you should go for the highest capacity you can afford to buy because big capacity power banks are usually heavy and less portable. Aside the size, it takes more time to charge and occupies more space. My advice to you, buy the power bank that falls in the range of what you require. For an average smartphone battery capacity, use the below as a guide in knowing your need. 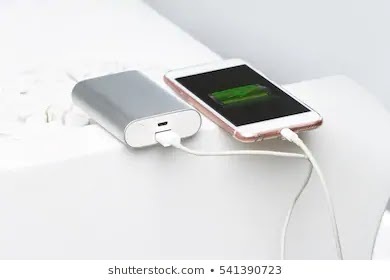 If you live in a city where you hardly go a day without light then a fully charged phone and a small capacity battery pack is the best for you. If you’re going out for camping, living in a place where you see light once in a blue moon then going for something big is the best. Be warned though, it is useful to spend a little more to save you further costs. This means you should go for branded power bank branded with its real capacity. You cannot get a high capacity power bank cheap. If a power bank is cheap and claims high capacity, just know, it is fake. Open your eyes, the biggest scam in the power bank manufacturing industry is faking its capacity. You have to be on the lookout else, you would be duped. There’s something you are not always told when been told about power bank capacity and the number of time it charges your phone – charge conversion rate. That your smartphone battery capacity is 5000 mAh and your power bank capacity is 5200 mAh does not mean you are going to get a full charge. This is as a result of the charge conversion rate. For good power banks, you are offered anything between 75 to 85 percent charge conversion. This means if you own a 5000 mAh battery pack, expect only one full charge for a smartphone with battery capacity of 3000 mAh. One of the factors to consider when buying a power bank is the number and type of ports. With the two conditions above gotten right, flop in this and get frustrated. The type of port would determine if your phone get charged quick or crawl its way like a snail before getting full. Make sure your battery pack comes with a 2A output port for faster charging. For those having the need to charge more than one cell phone at a time, they should go for portable charger with more than one output port. Make sure that at least one of these is a 2A output. If you have a USB Type-C port on your phone, buying a USB Type-C power bank is the best, to avoid relying on adapters. The only way you know if your power bank is fully charge or discharged is by indicators in form of led lights or a small LCD display screen. Avoid buying power bank without any of these to avoid frustration. This is supposed to be the determinant of the kind of power bank you want to buy. If your budget is small, have realistic expectation so you get something good within that range. If you need help, we are here to guide you! Although you can make use of your phone charger USB cable to charge your phone, it does not hurt if you take note of the one that came with power bank. It length and thickness together with-it quality can significantly impact charge conversion rate. My advice, go for power banks manufactured by known brands if it means compromising a bit on battery capacity. There are some things that you get from known brands like fast charging, superior built quality, charge conversion efficiency, corrosion resistance, durability, charge time, over-charging and short-circuit protection among others. With known brands, you are using a tested and trusted solution. Some of these includes Anker, Xiaomi, Ramoss, New Age, Fill, Innjoo, Oraimo, etc. Also note something here, aside the battery capacity, the branding of the power banks is also one of the most faked practice in the industry. You see a lot of power banks being sold as Samsung, Tecno or even Fil but are made by unknown manufacturers. Before spending a dime, ask the seller and ask for guarantee (you don’t get this from those hawking it at motor parks). With all these factors to consider before buying a power bank in Nigeria, it becomes time consuming to choose from the arrays of both good and bad power bank in the Nigerian market. We have taken away this stress and had chosen the best power bank in the Nigerian market right now. 360 Nigeria is a Nigerian Informational Blog dedicated to serving quality information to Nigerians about Nigeria. Our articles are up-to-date, well research and interesting to read.